Knowles Electronics LLC v. Cirrus Logic, Inc. (Knowles), decided on March 1, 2018, presented the Federal Circuit with an opportunity to address whether the Patent Trial and Appeals Board (PTAB) was precluded from construing a claim term that had already been construed by the court in a prior decision. The court let the opportunity go. In the preceding inter partes reexamination, the PTAB had taken the position that based on precedent, the PTO was not bound in reexamination proceedings by claim constructions produced by a court. The majority did not contradict the PTAB, a reflection perhaps of the fact that, given the difference in the method of claim construction between the PTO and the courts, the PTAB’s position was not wholly incorrect. In effect, the decision maintains the status quo that collateral estoppel does not arise in patent cases against the PTO. “I write in concern for perpetuation of the erroneous position that the PTAB need not apply the prior final judicial decision of the same issue of the same claims [i.e., issue preclusion] of the same patent. This error not only produces an incorrect result in this case, but will further impart uncertainty to proceedings under the America Invents Act. The purpose whereby the PTAB was created as an agency tribunal, in order to provide stable law and economical determination of patent validity, is negated when final adjudication in a court of last resort may be ignored, and the issue litigated afresh in the agency tribunal.” Knowles, Dissenting Op. at 1-2. Judge Newman clarified that while precedent had previously addressed the effect of a prior district court claim construction on a subsequent PTO proceeding, a final claim construction by the Federal Circuit had never before been held not to be preclusive. Id. at 2. It must be noted, however, that the Federal Circuit has previously held the PTO not precluded by its own ruling on obviousness. See In re Construction Equipment Company, 665 F.3d 1254 (Fed. Cir. 2011) discussed below. Under the status quo, neither the patentee nor the public is able to rely on judicial determination of an issue that might later be taken to the PTAB. Knowles, Dissenting Op. at 10. Should the differences in standards between the courts and the PTO for proving invalidity, which contribute to the status quo in a large measure, be allowed to continue? Or, should the policy objectives of judicial efficiency and repose be given effect to preserve the finality of judgement of a court of last resort? These questions have assumed added significance post-AIA since one of the purposes of AIA was to save time and cost. As for standards, courts give claims their customary meaning and require clear and convincing evidence to prove a patent invalid. On the other hand, the PTO gives claims their broadest reasonable interpretation (BRI) and requires a preponderance of evidence to prove invalidity. In her dissent, the judge urged the court to recognize the significant legal and economic consequences of conflict between judicial ruling and agency decision, in which patent life and investment resources are consumed in duplicate litigation with no reliable finality. Id. Issue preclusion, also known as collateral estoppel, is a judicially-developed doctrine under which once a court has decided an issue of fact or law necessary to its judgment, that decision may preclude relitigation of the issue in a suit on a different cause of action involving a party to the first case. Allen v. McCurry, 449 U. S. 90 (1980). Likewise, under res judicata, a final judgment on the merits of an action precludes the parties or their privies from relitigating issues that were or could have been raised in that action. Id. The USPTO’s policy with respect to res judicata and collateral estoppel in reexamination proceedings is that claims finally held invalid by a federal court, after all appeals, are withdrawn from consideration and not reexamined during a reexamination proceeding. MPEP § 2259. The section further explains that res judicata based on court holding in infringement litigations is not applicable in reexamination proceedings since such litigations would not have involved the Office as a party. Id. Turning briefly to the facts of Knowles, in this case Knowles Electronics, LLC appealed the PTAB’s inter partes reexamination decision affirming an examiner’s rejection of certain claims of U.S. Patent No. 6,781,231 (“the ’231 patent”). Only the rejection of claims 1-4 for anticipation is relevant here. The ’231 patent discloses microelectromechanical system (“MEMS”) packages comprising a substrate, a microphone, and a cover accommodating the microphone. The MEMS packages shield the microphone from an interference signal or an environmental condition and improve over the prior art’s drawbacks associated with manufacturing these housings, such as lead time, cost, and tooling. In the reexamination proceeding, the PTAB had construed the term “package,” finding that under BRI, the term “may refer to chip assemblies that possess any type of second-level connection mechanism,” and was not limited to packages produced from Knowles’s two proposed mechanisms of forming second-level connections, namely, mounting using (i) a through-hole and (ii) a surface mount. PTAB Op. at 18-20. On appeal, Knowles contended that “package” should be construed to mean an assembly that “requires a second-level connection with a mounting mechanism.” Knowles, Maj. Op. at 6-7. After a detailed analysis of both intrinsic and extrinsic evidence, the Federal Circuit found the PTAB’s construction of “package” (not requiring a mounting mechanism) to be free of error. Id. at 6-11. Importantly, the construction of the term had previously been decided by the Federal Circuit as a matter of law in MEMS Technology Berhad v. International Trade Commission, 447 F. App’x 142 (Fed. Cir. 2011) (MEMS Technology). In MEMS Technology, the Federal Circuit, on appeal of an ITC determination, had upheld the ITC’s construction of the term “package” to mean “a self contained unit that has two levels of connection, to the device and to a circuit (or other system),” reasoning that the requirement that the components listed in the claim body come together to form a mountable package is an important characteristic of the claimed invention. Id.at 10, (internal citations and quotation marks omitted). During appeal, Knowles argued also that the PTAB should have read MEMS Technology and concluded that a ‘package’ requires a ‘self-contained unit that must be mountable as it had an obligation to evaluate a previous judicial interpretation of disputed claims and to determine whether it is consistent with the BRI of the term. Id. at 9-10, (internal citations omitted). Although the difference between the two constructions appears small, the PTAB’s construction led claims 1–4 to be invalid as anticipated while the Federal Circuit’s construction did not. Knowles, Dissenting Op. at 9. The panel majority nonetheless concluded that there was no inconsistency between the two constructions since neither definition limited the two levels of connection to surface or through-hole mounting. Knowles, Maj. Op. at 11. To understand the Federal Circuit’s approach for determining whether issue preclusion against the PTAB applies, it is instructive to take a close look at the court’s reasoning in two prior cases, namely, In re Trans Texas Holdings Corp., 498 F.3d 1290 (Fed. Cir. 2007) (“In re Trans Texas”) and In re Construction Equipment Company. In In re Trans Texas, the court held that issue preclusion could not be applied against the PTO based on a district court holding in an infringement proceeding because the Office was not a party to the earlier infringement proceeding. In re Trans Texas at 1298. The infringement action was brought by Trans Texas against Pimco Advisors, L.P. in the district court in the Western district of Texas. The reexamination also was requested by Trans Texas based on a substantial new question of patentability. Subjecting the Office to preclusion would have required the court to apply non-mutual collateral estoppel under which issue preclusion applied even where the parties to the subsequent suit were not the same. Appellant Trans Texas had argued during reexamination that issue preclusion bound the Board to apply the district court’s claim construction, but the Board disagreed on the ground that a different claim construction standard applied in PTO proceedings. In In re Construction, the court affirmed the Board’s finding following reexamination that the claims at issue of U.S. Patent No. 5,234,564 (“the ’564 patent”) were obvious over the prior art. The ’564 patent is owned by Construction Equipment Company (“CEC”). The reexamination was requested by Powerscreen International Distribution Ltd. (“Powerscreen”). In re Construction Maj. Op. at 3, n. 1. CEC had previously asserted the ’564 patent against Powerscreen and obtained an injunction against further infringement. Id. Obviousness had been finally adjudicated eleven years prior, when the Federal Circuit affirmed a district court’s ruling of nonobviousness of the ’564 patent based on some of the same references cited in the reexamination request. In re Construction Dissenting Op. at 1-2 and 8. Thus, through reexamination and a successful appeal, Powerscreen was able, in the second round, to get a reversal of outcome. Judge Newman contended strongly that reexamination of the obviousness issue was both unconstitutional and against the principles of res judicata and issue preclusion. It was unconstitutional, the judge noted, because the constitution places the judicial power in the courts whose judgments are not thereafter subject to revision or rejection; and was against the principles of res judicata and issue preclusion because the principles of litigation repose are violated by the reopening in an administrative agency of issues that were litigated to finality in judicial proceedings. Id. at 3-5. The In re Construction majority disagreed, referring extensively to In re Swanson, 540 F.3d 1368 (Fed. Cir. 2008) (“In re Swanson”). The majority stated that in that case, the court had found no error in the PTO’s holding that reexamination could be instituted on the strength of a reference that the requesting party had unsuccessfully asserted as prior art in litigation involving the same patent, even where the court had affirmed the district court’s judgment of validity. In re Construction Maj. Op. at 5, n. 3. The Swanson court explained that the district court had not judged the patent to be valid per se; only that the accused infringer had failed to carry his burden of proving the patent invalid by overcoming the presumption of validity with clear and convincing evidence. Quoting from past decisions, the court reminded that “[c]ourts do not find patents ‘valid,’ only that the patent challenger did not carry the ‘burden of establishing invalidity in the particular case before the court.”’ In re Swanson at 1377 (internal citations omitted; emphasis original). As such, a prior holding of validity was not necessarily inconsistent with a subsequent holding of invalidity (internal citation omitted), and was not binding on subsequent litigation or PTO reexaminations, the court added. Id. (internal citations omitted). The marked inefficiency of the process leading up to and including Knowles is best summarized by Judge Newman’s observation that when judicial determination of a question of patentability had been completed, including appeal to and decision by the Federal Circuit, and the decision was ignored and the process repeated by the administrative agency and again appealed to the Federal Circuit; and where the Federal Circuit reached a contrary decision, the purposes of efficiency, economy, and finality of patent review were lost. Knowles, Dissenting Op. at 5. As long as differences between the courts and the PTO with respect to both the standard of proof and claim construction exist, and nonmutual collateral estoppel remains unavailable, one can expect inefficiencies of the likes seen in Knowles to continue. Thanks mainly to Obama once we loose Newman there aren’t going to be any judges left on the CAFC that actually have practiced patent law (and not just litigation.) I guess Chen counts. Pretty sad that what we have is judges without a science background on the one science court in the country. Yes, yes, there are exceptions and one or two people without science backgrounds is OK if they are conscientious learners, but what we have now is a joke. Newman’s dissent speaks for itself, but at the end of The Swamp That the USPTO Has Become!, I have added a discussion of the technology aspects of Knowles Electronics LLC v. Cirrus Logic, Inc.
One legislative purpose of creating the CAFC seems to be the definition of a unified patent realm that straddles Article I and Article III. Congress has not created a similar unified trademark realm because trademark appeals from a District Court go to a regional appellate court. The CAFC vouchsafed the construction with respect to litigant Knowles of a claim in an issued patent because of an appeal from the ITC, which is an Article I tribunal. The PTAB applied construction used in examination of an application to a claim that was contained in an issued patent and that had already been litigated to the Appellate level (i.e., the CAFC) — something that seems never to happened previously. Phillips claim construction and BRI claim construction are not so different, and the assertion of examiner error is rather like the boy who cried wolf at this point. B & B Hardware v. Hargis Indust., 135 S. Ct. 1293, 1306 (2015) does not seem to apply because that decision answered whether a District Court should apply issue preclusion on the basis of a TTAB decision when the two lower tribunals are judging by different laws or rules. Newman is not arguing that the PTAB should have applied issue preclusion because of a decision in the ITC. She is arguing that PTAB must apply issue preclusion because of a decision of the PTAB’s own appellate court. Implicitly she also seems to argue that Chen and Wallach should not have revisited and overruled the previous judgment of the CAFC in the appeal from the ITC. I concede that the situation is a mess and is most easily resolved if SCOTUS simply decides all post-grant proceedings (except both Reissue, which is initiated by the patent owner, and perhaps Ex Parte Reexamination, when invoked from Supplemental Examination) are unconstitutional. Newman seems to be applying the correct principles the most consistently to deal with the mess Congress hath wrought by proliferating post-grant proceedings at the USPTO. (3) on not reading the claims in light of the specification. The issue is important and should have been understood by a genuine expert that is not a cretin. Nowadays MEMS packages have proliferated in extremely exotic directions. The most exotic variants of today did not exist in 2002, and the specification is specific in focusing on a narrow class of MEMS packages and illuminating them. If an APJ babbles about a bio-MEMS, a neural-MEMS, or a brain-MEMS, I would simply slap him because there would be no value to arguing with him. Either he is the aforesaid cretin, or he did not read the specification. If we are not interpreting the claims in light of the specification and are interpreting as broadly as possible, then I must point out that fields pertaining to building electronic devices have been taken over by the PCB (Printed Circuit Board) and concepts related to the PCB. Today, if we use broad interpretation of ordinary English words, it should be applied completely. Nowadays, everything is mounted either “through-hole” or “surface mount,” whether we focus on standard device-circuit board mounting, specialized processor mounting, chip-on-chip mounting, or CSP (Chip-Scale Package, Chip-Size Package) mounting. Mechanical and wire-wrap mounting represent combinations of through-hole mounting and surface-mounting. I can envision non-through-hole non-surface-mount pseudo-synaptic mounting of artificial bio-organic membrane-based packages, but such packages and mounting are about 25 years in the future. Chen and Wallach are trying to preserve USPTO post-grant ability to invalidate issued patents by any possible ridiculous argument argument. The purposes of efficiency, economy, and finality of patent review are lost when judicial determination of the same question of patentability has been completed, including appeal to and decision by the Federal Circuit—yet the decision is ignored and the proceeding repeated by the administrative agency and again appealed to the Federal Circuit; and where, as here, the Federal Circuit reaches a contrary decision. Newman does not have expertise in government corruption, but I do. This majority decision in a case of post-appeal Inter Partes Reexamination makes it possible for corrupt senior USPTO officials and APJ stooges optimally to run a “bait-and-switch” con scam. On reading this decision, I have to wonder whether a criminal investigation of the USPTO should perhaps be expanded to include the federal judiciary. In the case of Inter Partes Review, SCOTUS, possibly having been taken in or conned by the nonsense of the anti-patent mob, wrongly decided CUOZZO SPEED TECHNOLOGIES, LLC, PETITIONER v. MICHELLE K. LEE, UNDER SECRETARY OF COMMERCE FOR INTELLECTUAL PROPERTY AND DIRECTOR, PATENT AND TRADEMARK OFFICE. When SCOTUS responded to the writ of certiorari, it only addressed difference in evidentiary standards, but the CAFC has allowed the PTAB the use BRI to move the burden of proof from the petitioner to the patent owner for fully litigated claims — something,which has never happened before in any post-grant proceeding whether Ex Parte Reexamination, Inter Partes Reexamination, Post Grant Review, Inter Partes Review, or Covered Business Method Review. I don’t believe any SCOTUS justice has prosecuted a patent application, and fortunately for the nation OIL STATES ENERGY SERVICES, LLC, Petitioner, v. GREENE’S ENERGY GROUP, LLC, Respondent, gives SCOTUS the opportunity to correct its gross and vicariously embarrassing error in Cuozzo by finding at least USPTO administrative Inter Partes Review to be unconstitutional. No one that I have asked has been willing explicitly to state what such a finding would imply for other post-grant proceedings. At the very least, Chen and Wallach are floundering technologically as the decision of these two judges in DDR HOLDINGS v. HOTELS.COM shows. Neither seems to have any understanding of the concepts of modern computer science and are, therefore, unable to discern obvious error. In addition, SCOTUS has pointed out that issues of grammar and semantic parsing are matters of law. (See the grammar discussion in the analysis of Matal’s intervenor brief in the appeal of the TELEBRANDS v TINNUS PGR.) Any judge that does not thoroughly understand the prescriptive and descriptive grammar of English is incompetent. Both Chen and Wallach should resign from the CAFC. (4) Notes from Part III of Administer–”Do Standard Detection”–”Modify Administration” Method Claims and 35 USC § 101 Eligibility Analysis. If the nation is lucky, Gorsuch will prove able to provide some good influence especially in the cases of the true meaning of the Constitution and of the complete wrongfulness of Chevron Deference. 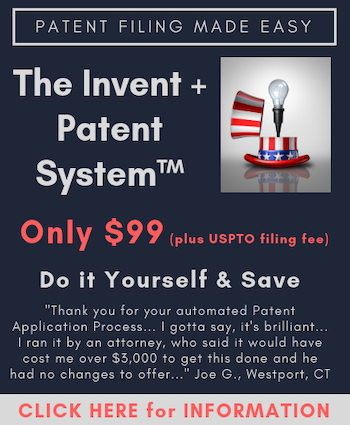 The new USPTO director Iancu should have MPEP 2106 Patent Subject Matter Eligibility [R-08.2017] rewritten into a clear algorithm like that used for claim charging. I could do it. I am sure there is someone at the USPTO that could create an eligibility algorithm that would be clear for applicants and for examiners. To be thorough I should address the CAFC decision with respect to claims 23-27. The passage below from the decision is completely incomprehensible to me as a hardware/software engineer, who as a manager has been responsible for overseeing assembly. The specification did not require solder pads to connect to the circuit board by any particular process. It disclosed only a broad genus – solder pads capable of being connected to a circuit board. Given the at most passing reference to solder pads in the specification and the conflicting views of the artisan’s knowledge, the PTAB reasonably found that artisans would not have recognized that the inventor possessed solder pads “configured to” connect to a printed circuit board through a reflow process. I may be out of date for I have not overseen assembly since 1995, but I have discussed it with QA engineers at Atrenne as recently as 2013. If an IC has solder pads, one connects it by means of solder flux. Flux means flow and the joining process is one of a number of solder reflux or solder reflow techniques. A non-cretinous artisan should be aware of these techniques. I also note that surface mount or through hole pin IC-type package can always be connected mechanically to a circuit board through breadboarding. It is a very old board debugging technique, with which any appropriate artisan should be familiar because breadboarding is commonly used in elementary electronics classes. One needs an adapter to breadboard a surface mount IC. We are dealing with a highly predictable art. If an expert asserted that Knowles wasn’t in possession and that the claims weren’t supported by the written description, the USPTO credited an expert that was not creditable — something that is not surprising because the USPTO is an obviously corrupt organization that needs thorough SEC and FBI investigations so that it can be put back on the right course. When the USPTO chooses between two experts, it should give a good explanation why it might choose the petitioner’s expert over the patent owner’s expert. It the USPTO cannot do so in the context of post-grant proceedings, the petitioner must be assumed not to have met his burden of showing unpatentability by the preponderance of the evidence. I have an example which highly suggests that attorneys from the USPTO solicitor’s office improperly coaxed a questionable expert to write a report in which the expert concludes exactly what the USPTO desires. On his own the expert did not know enough to make his conclusion and in the one case where the expert’s knowledge was not deficient, he contradicted his own previous writing on the subject. If such coaxing of the expert by attorneys from the Office of the Solicitor is not subornation of perjury, it is at least highly unethical. Until criminality is rooted out of the USPTO, no USPTO choice of expert opinion can be trusted. That fact is obvious in the Telebrands v Tinnus PGR. Despite minor technical differences the Cirrus v. Knowles Inter Partes Reexamination looks like the same sort of “bait-and-switch” con scam that we see in the aforesaid Telebrands v. Tinnus PGR. bWell Patlex is now wrongly decided? Because that was the camel’s nose under the tent.